Wearable Temperature Sensors For Working in Extreme Cold #WearableWednesday « Adafruit Industries – Makers, hackers, artists, designers and engineers! Useful project from Make shows how to set up wearable temperature sensors for working in the extreme cold. TMP36 – Analog Temperature sensor – TMP36: Wide range, low power temperature sensor outputs an analog voltage that is proportional to the ambient temperature. 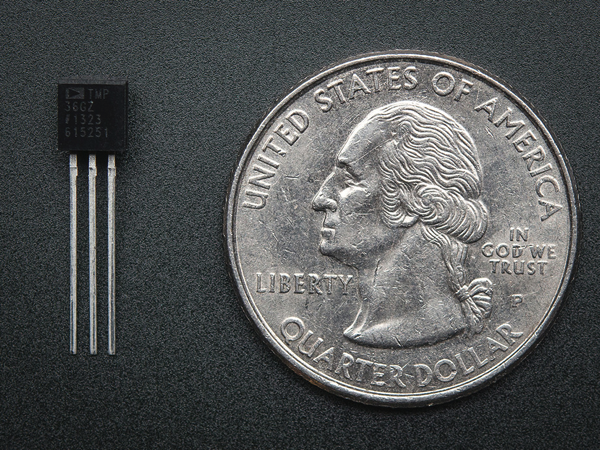 To use, connect pin 1 (left) to power (between 2.7 and 5.5V), pin 3 (right) to ground, and pin 2 to analog in on your microcontroller. The voltage out is 0V at -50°C and 1.75V at 125°C. You can easily calculate the temperature from the voltage in millivolts: Temp °C = 100*(reading in V) – 50 Read more.